Southend has been ranked with 15 other towns as a digital suburb in a new report outlining the current state of the UK ‘s technology industry. 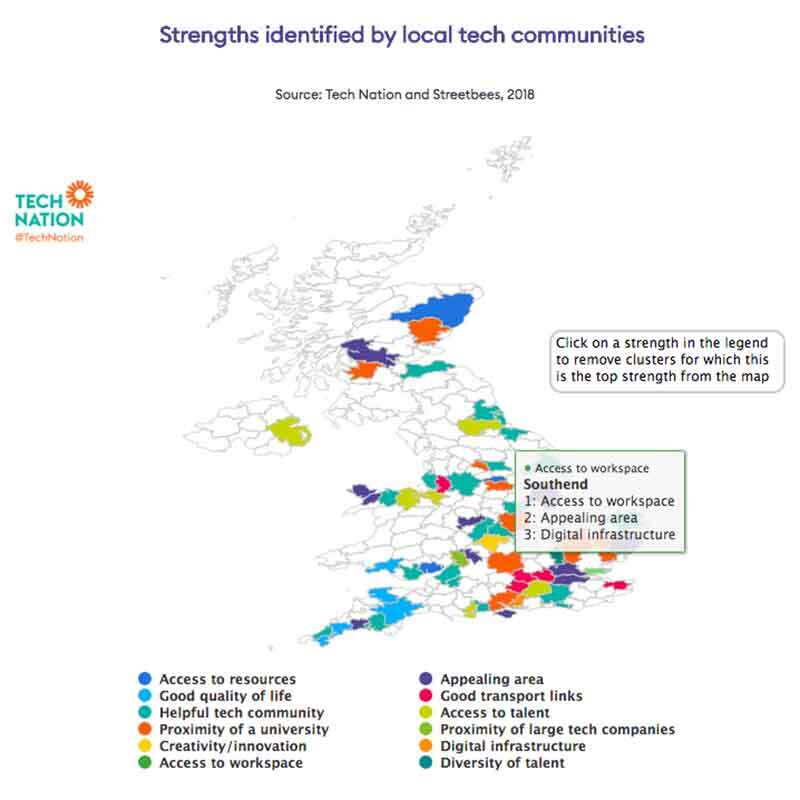 According to the annual Tech Nation report, the technology industry in Britain is growing at more than twice the rate of rest of the economy and developing significant clusters of digital businesses in towns outside of the main cities. 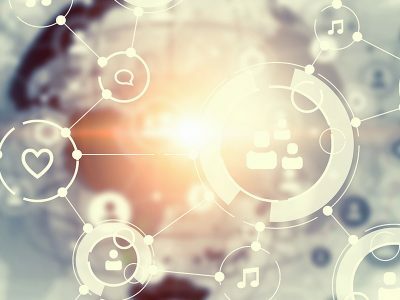 The report, developed from a survey of 3,400 people within the industry and statistics from the ONS, claims that the tech industry grew by 4.5% in 2016-7, compared to UK GDP, which only grew by 1.7%. The technology sector is now worth £184bn, up from £170bn in 2016. Tech employment is also increasing at an astonishing five times the rate of the rest of the economy. Productivity in the industry is also higher than in other industries, with each employee generating between £100,000 to £320,000 of turnover. The report contains a range of data across the country, broken down into regions. Southend ranks well, outlining several pros and cons of the town from the industry’s point of view. For a comparatively small town, employment in the area is high with 8517 people working in the industry in 2017 turning over £942,470,000 or £111,000 per person. Most technology companies within Southend are classed as scaleup, meaning they are aged between 5-9 years and as such are considered mid-stage and good opportunities for investment to rapidly grow. The report also includes data on the industry’s perception of the community in which they operate. Southend performs well in the category Perception of Living, with an overall score of 7.30 out of 10, compared with London’s 6.03, and beats the capital in all the categories surveyed including cultural amenities, cost of living and quality of life. The results from the Perception of People are more of a mixed bag, though still proved more positive than those of London, with an overall score of 6, compared to London’s 5.34 and Southend scoring particularly well in the quality of local schools. The report for the Perception of Doing Business slips below London, unsurprisingly with London scoring 5.69 compared to Southend’s 5.13; but the town’s perception of its digital infrastructure is especially optimistic, even if the locals don’t believe the town is particularly well recognised in the UK or abroad for its tech industry. However the town is far more optimistic when it comes to its future in the tech industry, recording high scores for growth potential. The survey asked the respondents to list the towns’ strengths and challenges, information which local authorities should particularly take note of. Tech people in Southend feel there is a lack of training available in the area and lack of support from government. They also seem to worry about retaining talent, possibly die to lure of London and it’s higher earning potential. On the positive side, the respondents seem to like living in a town with nearby access to their workplaces, in an appealing part of the country. The towns digital infrastructure is highly valued, and the town’s plans and agreements, such as Cisco’s Kinetic for Cities and CityFibre’s gigabit networking together with a host of new digital based workspaces, such as The Hive must surely influence the survey.